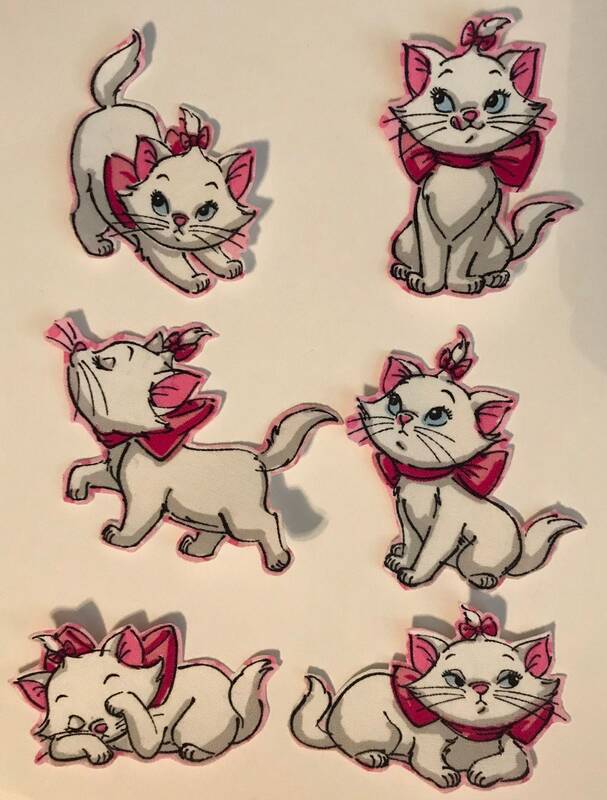 Includes one set of 6 kitten appliques, made from quality cotton fabric, with an iron-on backing. Sweet kittie with pink bows. Assorted. Each measures about 3”. These are perfect to make t-shirts, sweatshirts, baby rompers, tote bags, pillows, placemats ....or cloth napkins, aprons, towels...the possibilities are endless!